I also attempted pull-ups buy jumping a little into the pull-up and got 3 singles this way. I talked to Mike and told home I had a block going higher than 95 lbs because I wouldn't go all the way in depth squatting so he suggested trying a lighter weight and getting to the bottom and then bouncing up once to get up- this would force me to squat full and then use the bounce to pull myself up. I tried it with 75 lbs and did 2 sets of 5. My legs felt like they got a good workout from this. I am going to try it again and up the weight next week. 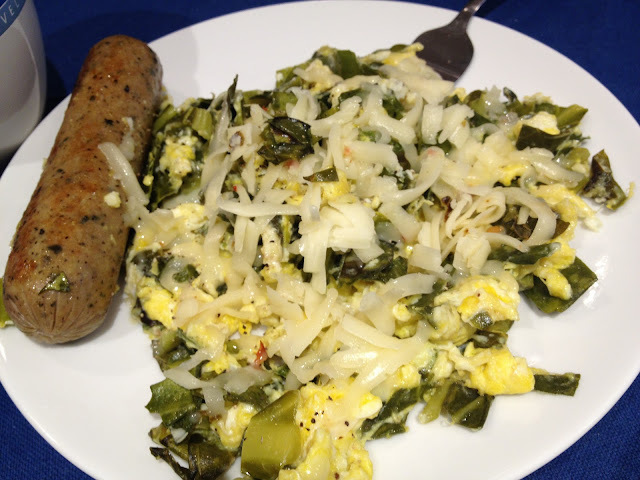 For breakfast: 2 eggs, 1 trader Joe's chicken sun-dried tomato sausage with collards and pepper jack cheese. I'm getting really good at using different greens now! 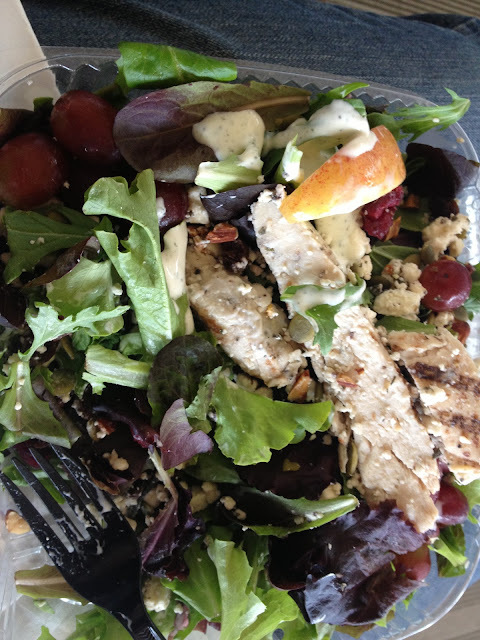 Lunch was a salad from Jason's deli, a mix of greens, pumpkin seeds, walnuts, chicken breast, apple slices, grapes and feta. 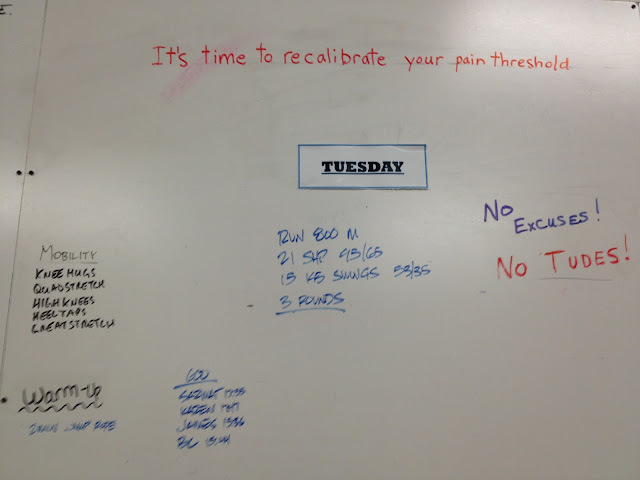 Last night I had enchiladas and rice which I think helped me in the morning workout- giving me enough energy to do the WOD and the strength work.